ELLSDOUG: goodreads: an app worth getting! 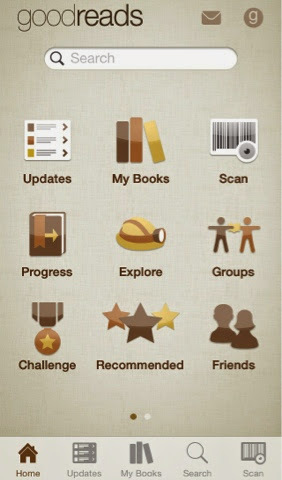 goodreads: an app worth getting! 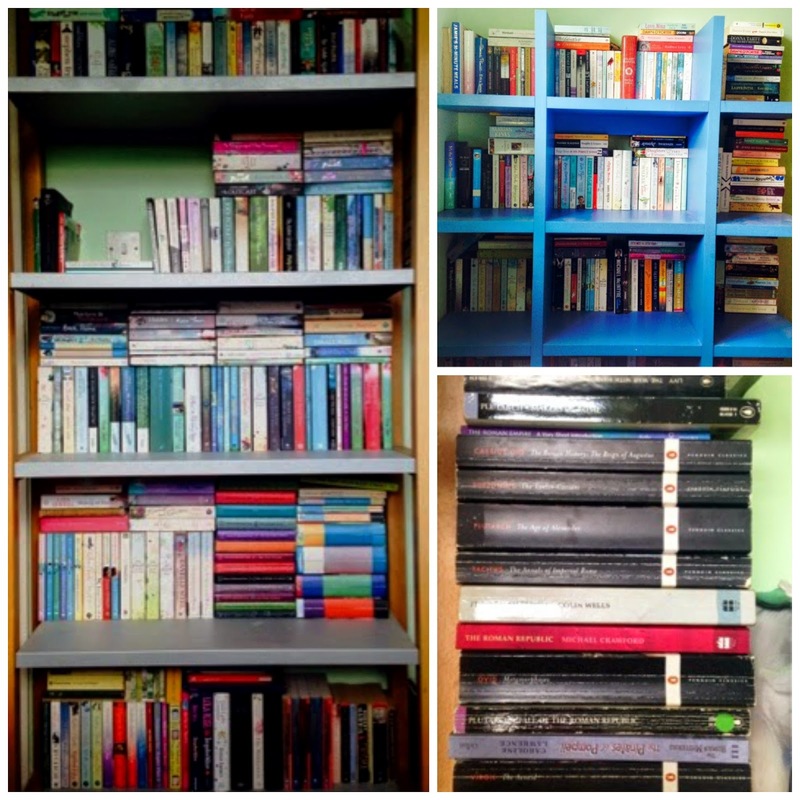 I am a collector of books, but I am also hopelessly unorganised. My room is stuffed to bursting point with the books I have collected over the years. They range from the Harry Potter series to Homers Odyssey to a good old soppy romance! 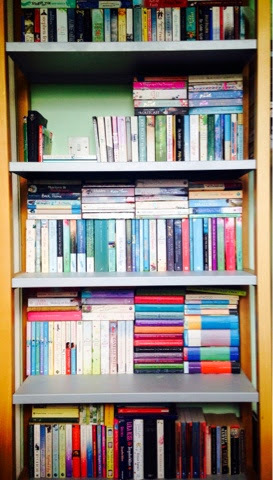 Every couple of years I contemplate the monumental task of organising my books into alphabetical order by author but it never lasts. I'm always pulling out books, rereading my favourite parts and then just plonking them down somewhere else. It doesn't take long for them to find their way back to the mess they are used to. But then I found this app called goodreads. It has many purposes, it's main one is to recommend books for you to read. When you sign up you select books you have read, rate them, and then they give you recommendations from that. 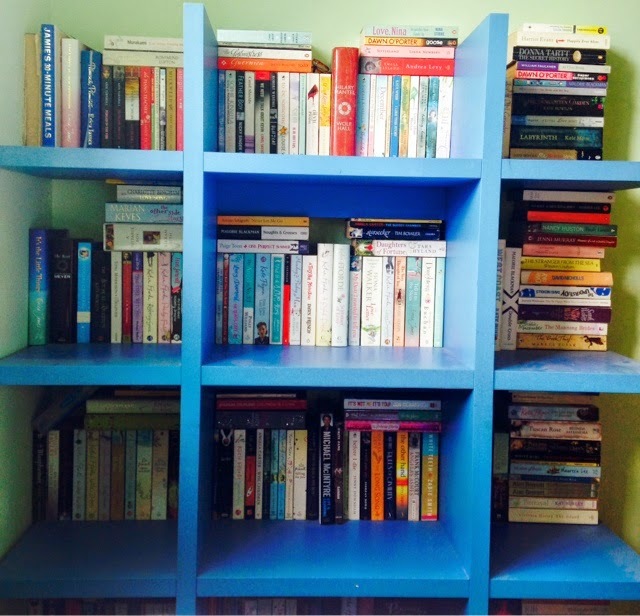 This is great as it opens my eyes to books I may not have considered and it has such an extensive database of books, it has really made me excited to go out and buy even more books! The reason I like it though is because it has a feature that allows you to scan all the books you have read by using the bar code on the back, which means that in this little app on my phone, I am slowly building up a record of all the books I have read and also how I rated them. I LOVE IT! The only problem is that it is encouraging me to buy more books, which neither my bank balance nor bookshelves are thanking me for. I have actually got a kindle but there is something about physically holding a book that just makes me so happy and I love having them displayed in my room. For me books are the best form of decoration and I don't think I will ever stop buying the hard copies! If the idea of this app interests you then you can find out more here! Hello! With great pleasure I would like to invite you to join our Facebook event "Day for blog links swap." You can join here https://www.facebook.com/events/563375310443042/. The event is international, and the description is translated into English. For more information see the link. I completely agree with the difference of holding a book compared to a kindle/ipad! I read my books on my ipad with iBooks & I do love it's efficiency but it's just not the same, the smell of a good book takes me back to Harry Potter days haha. This app sounds a must, I'll give it a go, thanks for the heads up. Great blog..